To help provide an exciting and varied programme many Companies will organise activities to be run through a local activity centre. These often range from climbing to archery, fencing to canoeing. Undertaking activities through a specialist centre is a great idea and enables young people to participate in exciting activities where BB leaders may not have the expertise or equipment available to include these in the programme. Although staff at the activity centre are leading the activity, there are a number of considerations that still need to be taken into account when assessing whether an activity is suitable for your Company. Does the Centre have Public Liability insurance in place? Ask to see a copy, often it will be available from the website. What consent forms/terms & conditions will you be asked to sign before the event or on the day? Ask to be sent copies if not available via the website. Check that the instructors are qualified. Leaders should not sign any disclaimers waiving the right to hold an Activity Centre responsible should an accident occur where the provider may be negligent. As the activity is being offered in the name of BB, it is not possible to simply ask parents to sign the disclaimer. The BB will still be responsible should an accident occur. Remember that leaders are always responsible for the supervision of young people, even where someone else is acting as instructor. 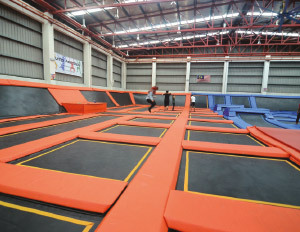 In recent months BBHQ has been contacted by a number of Companies looking to use one of a growing number of Trampoline Parks across the country as part of the programme. In principle, like other activities there is no issue with this, but please note that the terms and conditions vary hugely from centre to centre. Look carefully to ensure there isn’t a clause waiving the Centre’s responsibility should an injury be sustained. 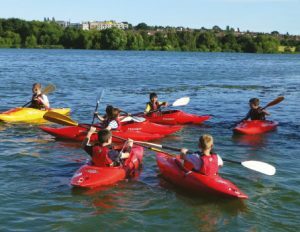 Adventurous activities form an important part of Company programmes and we would want to encourage Companies to offer these opportunities to young people.